congratulations to lori p. of leesport who won the most recent drawing sponsored by brides to booties held during the last genspan group's research event for first time expectant parents. lori won 20 custom birth announcements and 10% off any additional ordered! and we are already working on her announcements in anticipation of her little guy's upcoming arrival!! again: if you are a first time expectant parent (or already a seasoned pro), you can sign up for genspan baby group here (or using the genspan button on the right side bar). just for signing up you can be entered into the first time parents or current parents sweepstakes. you may be contacted to participate in an online survey or even an in person research event where you are compensated just for giving your opinion on baby products! we had some beautiful warm afternoons (followed by some crazy wintery snowy squalls in the evenings) this past weekend...but that sun shining sure had me excited for the arrival of spring just around the corner! and with spring comes easter and graduation!! having pictures of your little ones (or your pets) taken with the easter bunny? let's design a greeting to send to your family and friends that will showcase it and wish everyone a blessed easter season. it's also never too early to start designing your graduation party invitations. there are only so many weekends in a summer following graduation and before everyone heads back to school and off to college. why not get your graduation party invite designed now and ready to roll so your friends get your invite first and can't say no to coming to the best party ever because they've already rsvp'd for someone else's party who got their invites out sooner?! we can have everything laid out and just wait to plug in your senior picture once you get it back from the photographer. you can contact me at christy@bridestobooties.com to discuss your easter or graduation greetings or visit my website to view samples of previous graduation party invites. congratulations to rebecca s. of shillington who won the drawing sponsored by brides to booties held during genspan group's travel system research event for first time expectant parents. rebecca won 20 custom birth announcements and 10% off any additional ordered! fyi: if you are a first time expectant parent (or already a seasoned pro), you can sign up for genspan baby group here (or using the genspan button on the right side bar). just for signing up you can be entered into the first time parents or current parents sweepstakes. you may be contacted to participate in an online survey or even an in person research event where you are compensated just for giving your opinion on baby products! you know as well as i do that the best clients are those that come from past clients. word of mouth referrals are our best source of business in many cases! and like me, i'm sure you are always looking for more fun and unique ways to "get the word out". so how special would it be to give your clients a set of custom "we've moved" cards, complete with a photo of them, their sold sign in front of their new home and their new address to send to their family and friends, compliments of you, their trust-worthy realtor? oh, and did i mention that there would be a space on the back of the card for your contact information? you give them a set to hand over with their keys, and i'll throw in a coupon for a discount off additional quantities if they want more! interested? you know you are!! contact me at christy@bridestobooties.com, or message me through my website or facebook, and let's get working on creating a template just for you and your clients! the brides to booties etsy shop is officially open! it only took me 2ish...ok, more like 3 years, but it's open and filled to the brim with monthly onesie stickers to start. more items will be added down the road, but these are a good thing for me to start with. 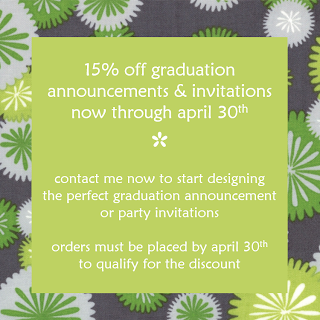 i'm happily busy with custom orders for invites and announcements, etc. through word of mouth, so i'm going to ease into the etsy thing with the onesie stickers. there is an option in the etsy shop to request a custom listing if you are interested in something that you don't see (a new onesie sticker style, customize an existing one with a name, or even invites or announcements). i will still continue to take requests and orders through my contact page on my website, through messages on facebook and through my email, christy@bridestobooties.com. so spread the word and make my shop one of your favorites! thanks again to each and every one of you that have supported me over the past few years as i've grown my business and thanks for the referrals to my facebook page (keep them coming, please and thank you). i was asked to design a sweet baby shower invite that coordinated with the owl and flower theme the hostess was going with. i am very happy with how it turned out and the invites and coordinating onesie stickers are being delivered to her this weekend! i can't wait for her to see everything in person! this design can be used for the announcement, thank you and onesie sticker "bundles of joy" packages too if interested! hi! my name is christy. i am a thirty-something mom & wife who, despite not having much free time, loves to be crafty! i've spent several years of my life creating custom invites, announcements, diaper cakes, and favors for myself and family. it began expanding to old friends and new friends and brides to booties was born. started as a way for me to have fun and be creative while helping others in the process, i thought what better way to roll my love of design, babies and weddings into one neat little side job. become a fan of btb! copyright 2012 | brides to booties . Simple theme. Theme images by merrymoonmary. Powered by Blogger.